Did you have fun with the first maps? Hopefully you are taking part in the daily challenge too on World of O. We’ll continue to post our route choices as it serves as a mental exercise for us too. 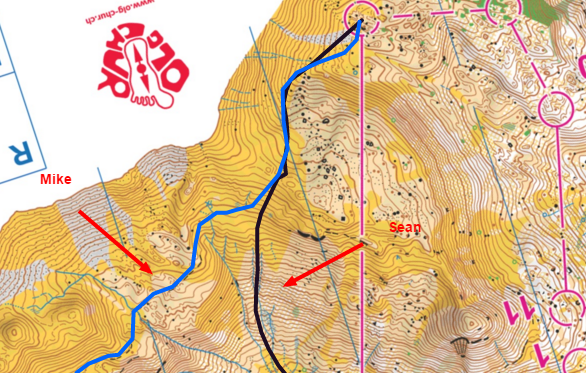 A long leg in one of the most beautiful races this year: Today’s leg in Route to Christmas is presented by Aleksandr Kratov – and is a leg some of you might have taken a look at already. 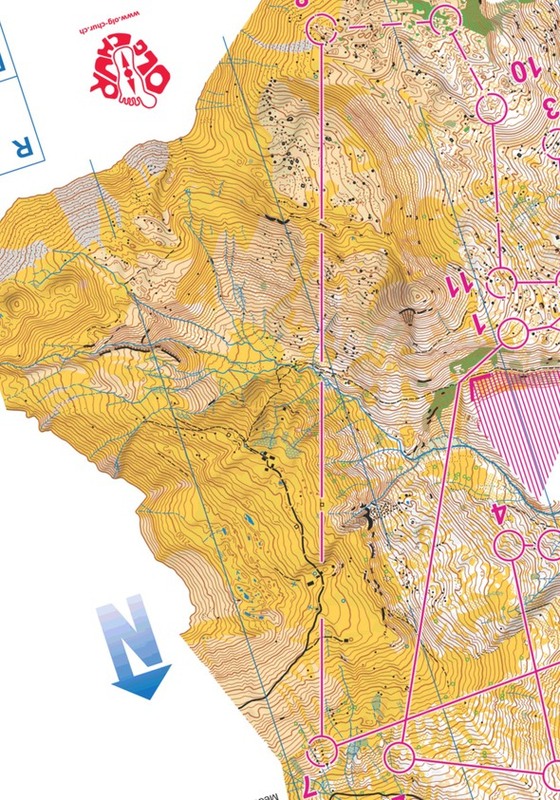 The leg is the long leg (leg 8) in the H21E course from picturesque World Cup Long distance in Arosa at October 2nd 2015. 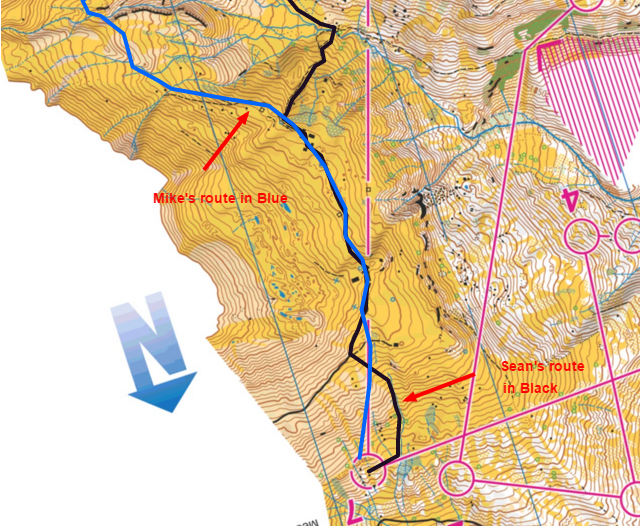 Our routes are split over 2 maps for this one. 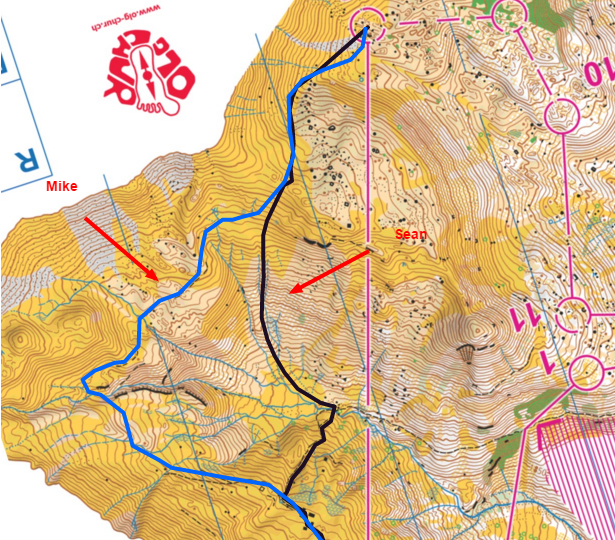 Mike – Some climbing but only stay as high as I need using the trail and stream crossings to get me there in stages. Sean – Tricky first section losing height to have to regain it but using stream as a handrail to join the trail and on to use as much of the road as possible. Use final junction on road to handrail along stream and nav in to CP from there. 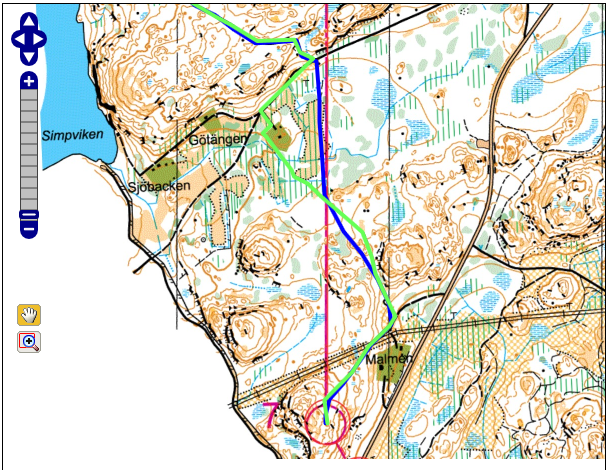 Helena Jansson offers us a very interesting long leg in tough Swedish terrain for today’s leg in Route to Christmas. 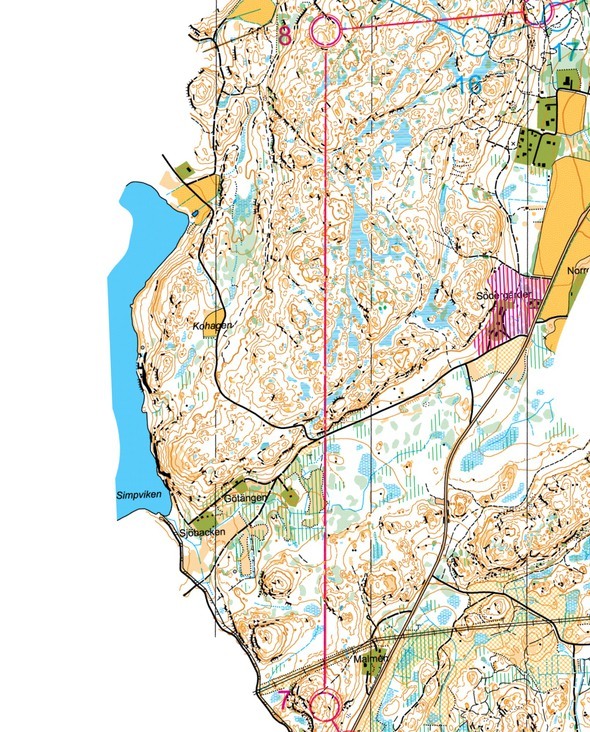 The is the 8th leg in the D21E course from the Swedish Championships Long 2015 at September 13th. Routes to Christmas an orienteering visualisation.